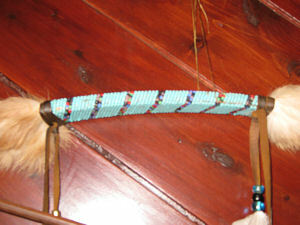 The bow is decorated with a section of glass seed bead work, authentic buckskin, and five fur wraps. 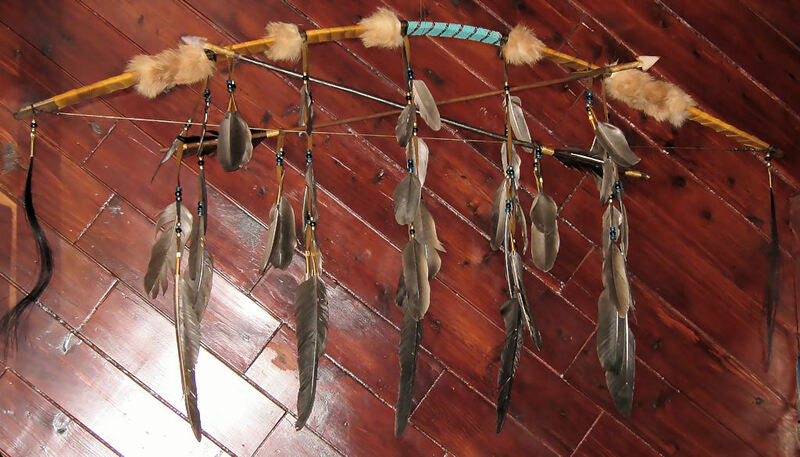 The buckskin fringes are decorated with complimenting glass crow beads, silver beads, and/or brass beads, and goose and/or duck feathers. The pictures shown are representative. Because this is a one-of-a-kind hand crafted item, the one you receive may vary slightly from the one pictured. Bead colors may vary if you are ordering in bulk.